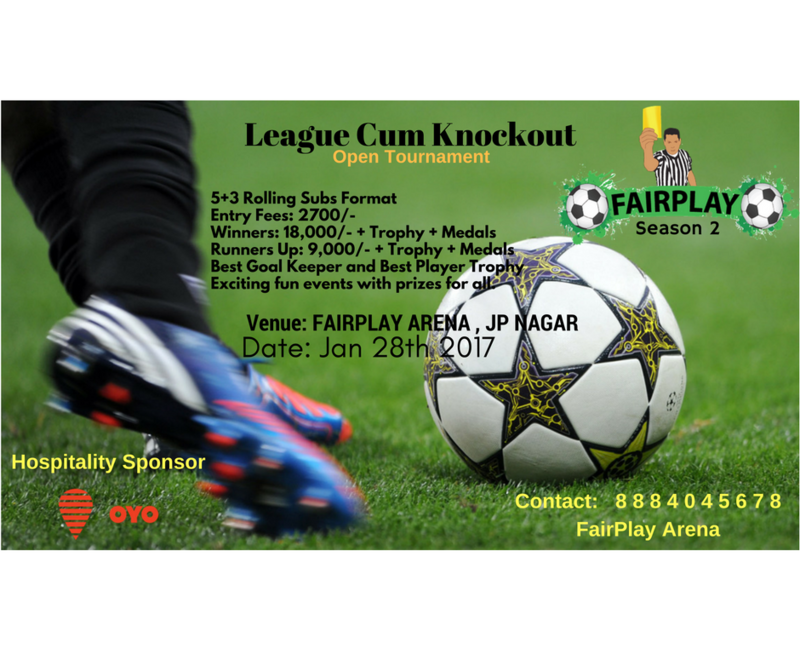 Fairplay brings to you their second edition of the hugely popular tournament. Do not miss out this time and register soon. Winners: Rs 18,000/- with trophy and medals. Runner's up: Rs 9,000 with trophy and medals. Trophies for best player and best goal keeper. 5 Players + 3 rolling subs.